Chalk Drawn Christmas Greeting PSD Background - Free Photoshop Brushes at Brusheezy! Can't decide how to tell your family and friends 'Merry Christmas'? Use this new Chalk Drawn Christmas Greeting PSD Background to get a kind of catch all design. You'll love the chalkboard quality of this Christmas PSD and the winter snowflakes, holly, and ornament icons. 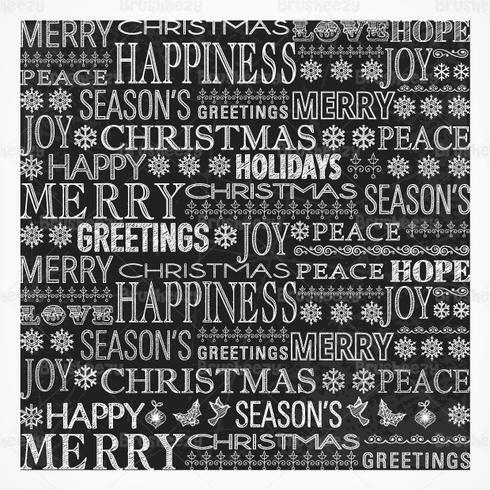 Use this chalk drawn Christmas PSD in your next holiday project and then check out the <a href="http://www.vecteezy.com/holiday-seasonal/59256-chalk-drawn-christmas-greeting-vector-background/premium">Chalk Drawn Christmas Greeting Vector</a> over on Vecteezy!